If you make yourself more than just a man, if you devote yourself to an ideal and they can’t stop you, then you become something else entirely. A legend, Mr. Wayne. – Ra’s al Ghul, Batman Begins, 2005. 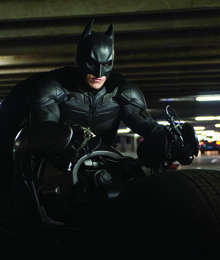 This line, so eloquently delivered by Liam Neeson in Christopher Nolan’s Batman Begins, the 2005 reboot of the Batman film franchise, is the existential nudge directing a once lost and disillusioned Bruce Wayne down the path towards dark knighthood — a storyline that wrapped up this July in the highly anticipated blockbuster The Dark Knight Rises.